Garnier Hair Care Product Only $1.33 at Rite Aid! 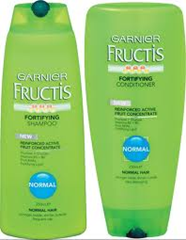 Rite Aid is having a deal when you buy 5 Garnier Fructis Shampoo or Conditioner ,Combine the Rite Aid Deal with Manufacturer Coupon to crab each item for $1.33! Munchkin Flip Straw Click Lock Cup Only $1.98 at Walmart! Ghirardelli Dark & Caramel or Dark & Orange Chocolate Bar Only $1.11 at Target!